Scott McTominay has said scoring his first goal for Manchester United is the best feeling in the world. 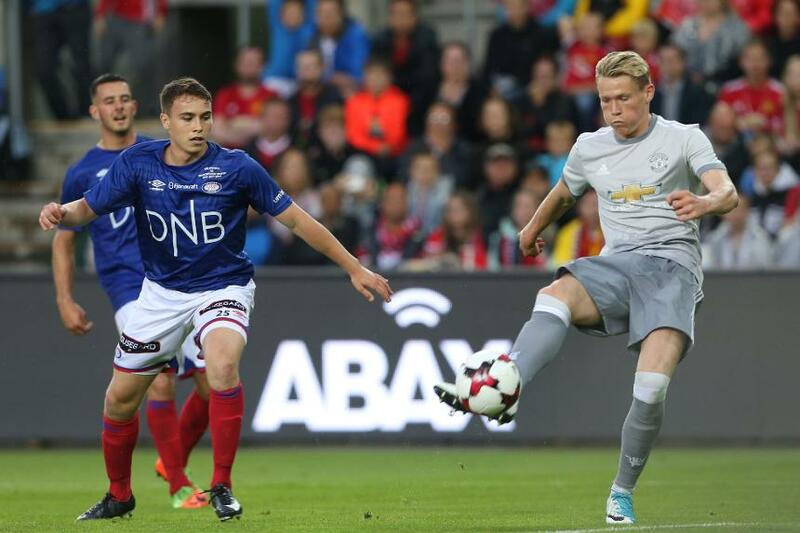 McTominay, 20, who made two Premier League appearanes against Arsenal and Crystal Palace last season, netted the third goal as Man Utd beat Valerenga 3-0 in Oslo at the weekend. "Coming over with the first team for a start and just playing games with them in pre-season and then to get my first senior goal, it's the best feeling in the world," McTominay told manutd.com. "It’s the best moment of my life so you just want more and more of this. This is what you work for every single day in training, dedicating yourself. I’m just going to enjoy it now and push forward to do my best." McTominay will be hoping to feature for Jose Mourinho's team when they start the 2017/18 campaign at home to West Ham United on Sunday 13 August. "This is what you work for every single day in training, dedicating yourself."